Great news, jailbreak fans: Intelliborn has recently made "IntelliScreenX" available to download, meaning iOS 5 users now have another reason to jailbreak their iOS device. Once installed, the package adds countless widgets to Notification Center. Among the features added is an SBSettings style widget, a Twitter timeline (you can even tweet from IntelliScreenX) and an RSS feed (which is compatible with Google Reader and uses the Safari Reader interface). You can also add a Mail and Facebook page to the tweak, too. Furthermore, once downloaded and installed, IntelliScreenX makes it possible to access Notification Center (and IntelliScreenX) from your iPhone's Lock screen - something that cannot currently be done without jailbreaking. The current version of IntelliScreenX is a public beta, meaning there may be a few bugs present in this release. However, the Intelliborn team is continually updating the app, fixing any issues that users report. In short, IntelliScreenX looks like one of the best jailbreak tweaks currently available in the Cydia Store. You can download the package now for $9.99 (though it does come with a free trial, so you can try it out first). Just be sure to add the following repository to Cydia: http://www.intelliborn.com/isxbeta. 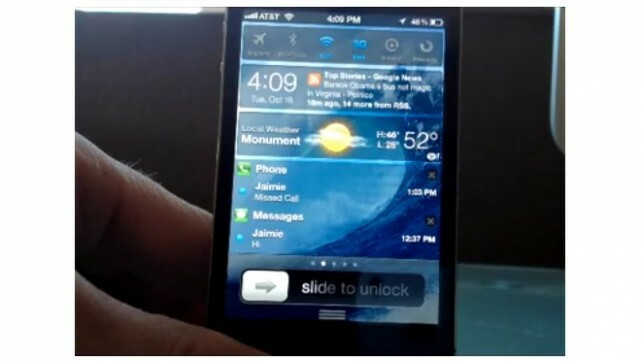 For information on jailbreaking under iOS 5, take a look at our how-to article.